For a second year, the Wallkill East Rotary club will host its Turkey Trot 5K on Thanksgiving morning. The course will start and end at the Galleria at Crystal Run in the Town of Wallkill, NY. Registration opens at 6:45am and the race begins at 8am. EVERYONE registered by November 7th will receive a long-sleeve event shirt and a personalized race bib. 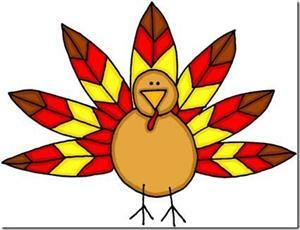 All race participants will receive a fun, turkey-themed giveaway. RUNNERS AND WALKERS ARE WELCOME!! After 11/07 or on race day- $25 for adults, $15 for a child, and $60 for a family of 4. Applications can be found in the "Download Files" section of our website (on the left hand side of the home page) or by emailing LittleLo181@yahoo.com.